I'm presently working on a blog post that is borderline revolting. Not unlike my time in 9th grade. But before I share it with you, I thought I would share something completely unrelated I recently found while digging through old boxes. 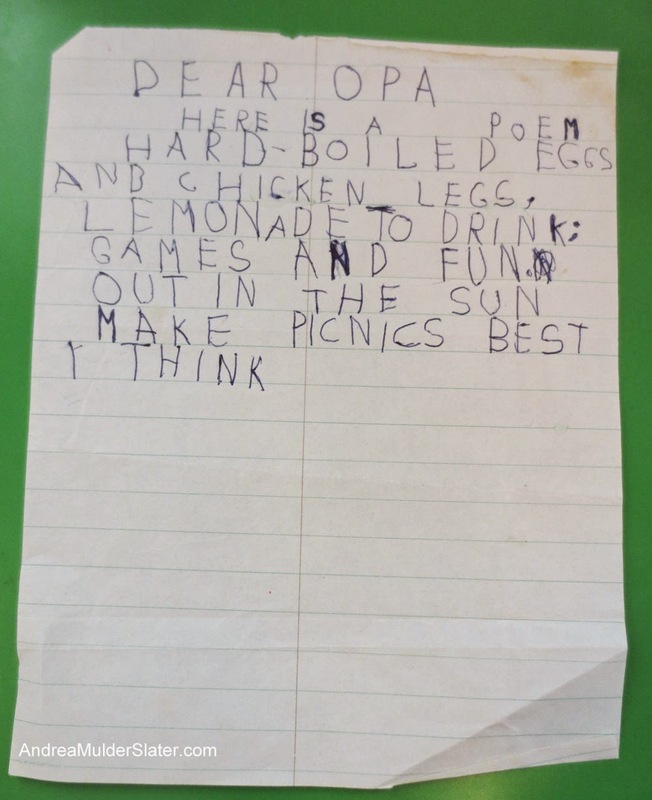 It's a poem I wrote for my dad's father, when I was 9 years old... and (evidently) enamored with poultry. Which, now that I think about it, actually makes this poem marginally related to what I'm currently writing. Apparently I was always a stickler for detail.